What should you do when you forgot the password to login to Windows Vista? 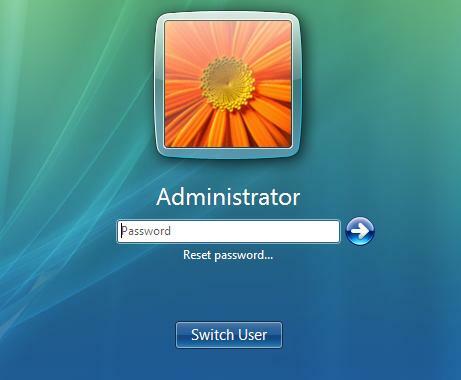 Ask an administrator to reset the Vista password for you. If you yourself are administrator, and you can't remember the administrator password, the problem get a little tricky, and probably hard to recover the 'forgotten password' again. 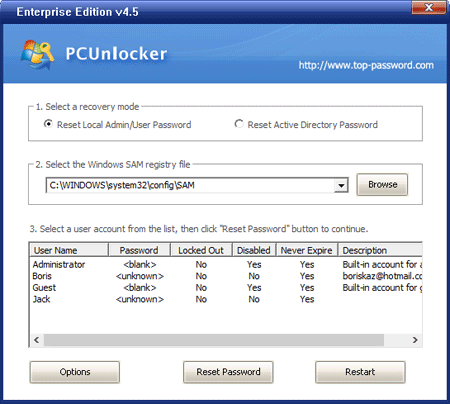 Before you search for Windows installation DVD to format and reinstall Windows Vista onto the computer, here a few ways you can try to unlock the Windows to gain access to the system again, at least by resetting Windows Vista password. If you did create the Windows Vista password reset disk before forgot Windows Vista password, the method will be helpful. While, there are exactly little users who remember to prepare such a useful disk. If you already have a Windows Vista password reset disk, please follow these steps to reset your Vista password easily. Once you've typed the wrong password, Windows Vista will show a Reset password link below the login box. Click on Reset password. Make sure that password reset disk is plugged into the computer at this point. When the Password Reset Wizard appears, click Next to continue. Select the right password reset disk. Click Next. Type in a new password and a hint for the password. Click Next. Click Finish. Now you can log in to your PC with the new password. The Sticky Keys trick to restore a forgotten administrator password is reliable, easy to carry out, and does not require third-party software. All you have to do is boot up from a Windows Vista setup DVD, launch the Windows Recovery Environment (RE), and then replace the sethc.exe file with cmd.exe. You can also use this method for Windows 7, but you have to use a Vista or Windows 7 DVD. Uncompress the package, there is a ISO image: pcunlocker.iso. Burn it onto a CD/DVD or USB flash drive. Boot your locked Vista computer from the newly burned CD/DVD or USB flash drive. Wait until the boot process is finished. When a window pops up with all your Windows Vista accounts, select the target one to reset its forgotten password.